Our team of seven staff members are responsible for all public sector partnerships across Central England. From Stoke-on-Trent to Southend on Sea, we have an inclusive, whole-team approach which leads to growth in successful partnerships and building new investment opportunities in the West Midlands, East Midlands and the East of England. As a highly committed, motivated and flexible team we work with partners to create solutions that are of mutual benefit, and respond to the needs of disadvantaged young people. Last financial year, with our partners, we supported over 13,000 young people aged 13-30 access our high quality engagement programmes across Central England. 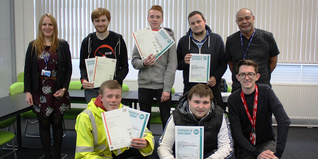 77% of these young people progressed into a positive outcome of employment, education, formal training or volunteering. We are proud of our network of supporters who fund us to deliver the right opportunities for young people to get their lives working again. Arts Council – Through their Creative People and Places fund, the Arts Council supports the First Art project, an ongoing initiative which aims to inspire communities in the old coalfields areas of North East Derbyshire and North East Nottinghamshire to experience and get involved in the arts. The project funds Prince's Trust Get Started programmes in themes based around the arts. Bedford Borough Council – Supporting the Trust to work with NEET young people in the area. Big Lottery: Talent Match - Leicester, Lincolnshire, New Anglia, Sheffield, South East regions – Talent Match is a project funded by the Big Lottery Fund over a flexible five-year period that has been awarded to Prince's Trust-led local partnerships to support NEET young people aged 18-24 who have been unemployed for over 12 months. Birmingham City Council – Youth Promise Plus is a Birmingham and Solihull Employment Pathway Project supported by the European Social Fund and the Youth Employment Initiative. The project supports NEET young people aged 15-24 to help them move into training or employment. It also engages with local employers to maximise opportunities for local young people. The project enables The Prince's Trust to support young people through our Fairbridge, Get Started, Get into and Enterprise programmes in Birmingham and Solihull, in close partnership with statutory and voluntary support providers. 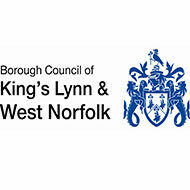 Borough Council of King's Lynn and West Norfolk – King's Lynn and West Norfolk Borough Council have supported us through their St Margaret's Townscape Heritage Initiative which has supported 48 young people on our engagement and employability programmes including 2 Get into Construction programmes. 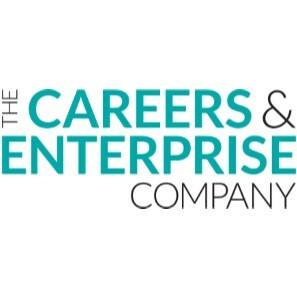 Careers and Enterprise Company – Delivered through the Leicester and Leicestershire Enterprise Partnership as part of a national project, the CEC supports young people in education to develop employability skills, experience enterprising activity and connect with employers. Central Bedfordshire Council – Working with our Get into and Get Started teams to support NEET young people aged under 20. Community Connections – The Prince’s Trust is a part of The Community Connections Partnership (CCP), which has been formed to deliver ‘Community Connections’, the European Social Fund Building Better Opportunities project in Greater Cambridge, Greater Peterborough Local Enterprise Partnership. This project aims to support those furthest from the labour market towards and into employment. Coventry City Council - Ambition Coventry is a Consortia bid being led by Coventry City Council. It will deliver quality marked services, harnessing cross sector skills, knowledge and experience, to support young people, who are at risk of disengagement into jobs. The project will support young people aged 15-29 who live in Coventry and are identified as NEET to re-engage and access employment/skills support. Essex Police, Fire and Crime Commissioner – The Essex Police Crime Commissioner is working with us to get young offenders, ex offenders and those at risk of offending into employment, education and training. European Regional Development Fund – The Prince's Trust's Better Off in Business Enterprise programme is part funded by the European Regional Development Fund Programme 2014-2020. European Social Fund - Birmingham and Coventry YEI activity is part-funded by the European Social Fund Programme 2014-2020. European Structural and Investment Funds - Birmingham and Coventry YEI and the Trust's Enterprise Programme across Central England is part-funded by the European Structural and Investment Funds Growth Programme 2014-2020. Health Education East of England – Supporting the delivery of Health Sector specific employability programmes and job opportunities through our Get Into pre-employability programme. Health Education England – Supporting young people into employment opportunities within the NHS and its supply chain. Health Education West Midlands – This relationship has supported the delivery of Health Sector specific employability programmes and job opportunities through our Get Into pre-employability programme. Hertsmere Borough Council – Supporting the Trust to work with NEET young people in the area. 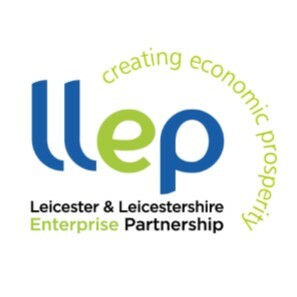 Leicester and Leicestershire Enterprise Partnership Project Revenue Fund –The Leicester and Leicestershire Enterprise Partnership support the Enterprise programme through their Project Revenue Fund , helping The Trust deliver pre and post start-up Enterprise support. Luton Borough Council – This relationship, together with London Luton Airport, has invested in the delivery of seven core programmes over three years providing young people aged 13-30 in Luton with the opportunity to access a full range of support services to get their lives working again. Norfolk County Council - Supporting Get Started and Get Into delivery for NEET young people across Norfolk. People Plus – This relationship ensures that young people aged 18 to 30 years old are able to develop and start viable businesses. Peterborough City Council – Supporting the Trust to work with NEET young people in the area. Royal Opera House Bridge - Supporting the Trust with a partnership investment to help NEET young people access the arts and creative industry sectors. South Norfolk Council – Supporting vulnerable young people resident in South Norfolk helping them get into employment, training and education. Staffordshire Police and Crime Commissioner – A joint funded partnership between Staffordshire PCC and Stoke City Council Public Health. Targeting young people, aged 16-25 who are at risk of offending or are vulnerable or living unhealthy lifestyles, through the Fairbridge and Get Started programmes. Intensive 1-2-1 support is also delivered to engage with these young people. Stevenage Borough Council – Supporting the Trust to work with NEET young people in the area. Stoke-on-Trent Clinical Commissioning Group – Working with Health & Social Care commissioners to deliver a Get into Domiciliary Care programmes for 18-25-year-olds in a view to help build the sector through training and employment opportunities for young people. Stoke-on-Trent City Council (Public Health) – A joint funded partnership between Staffordshire PCC and Stoke City Council Public Health. Targeting young people, aged 16 to 25 who are at risk of offending or are vulnerable or living unhealthy lifestyles, through the Fairbridge and Get Started programmes. Intensive 1-2-1 support is also delivered to engage with these young people. Strive – The Strive in Herts project has been funded through Building Better Opportunities and European Social Fund. The aim of the project is to support those who are most disadvantaged in the labour market to move towards and into sustained employment or education. 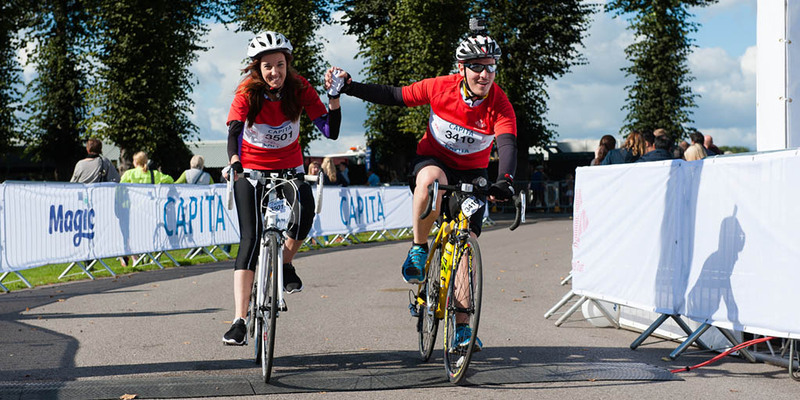 Our role as one of the partners is to raise the profile of the BBO project within the Prince’s Trust partnership network. Suffolk Police and Crime Commissioner – Supporting the Trust to work with NEET young people aged 16-30 across Suffolk by helping to fund a range of employability programmes which support young people into work. Support into Employment – The Prince’s Trust is one of the 38 partners delivering the £5m Support Into Employment project in SEMLEP area. The project funded by the Big Lottery and European Social Fund, aims to tackle worklessness to raise the aspirations of people and communities, and support participants to overcome barriers, increase in confidence and move into, or nearer to, paid employment. Three Rivers District Council – Supporting the Trust to work with NEET young people in the Three Rivers area. YES Project - The Prince’s Trust is one of nine partners delivering a £1.94m Youth Employability Support (YES) Project in Leicester and Leicestershire. 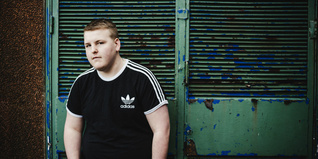 The project, funded by the Big Lottery and European Social Fund, aims to transform the futures of 400 young people between the ages of 15 and 24, by supporting them to overcome barriers that are preventing them from gaining employment or seeking further education. Youth Motivator - The Youth Motivator in Herts project has been funded through Building Better Opportunities and European Social Fund. The aim of the project is to provide individualised tailored support to young people most disadvantaged in the labour market to move towards and into sustained employment, education or training. Our role as one of the partners is to raise the profile of the BBO project within The Prince’s Trust partnership network.